Rise of the Undead McLeach. 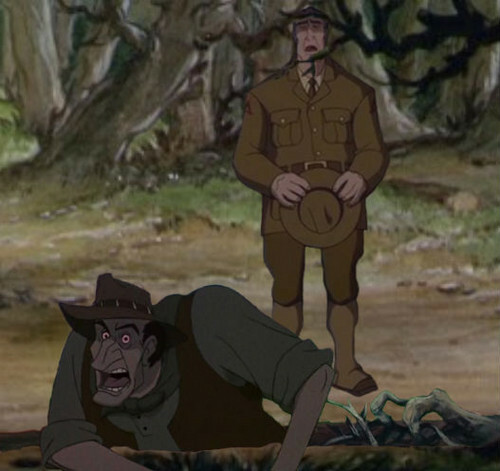 Rourke officiates at McLeach's funeral while McLeach rises from his grave.. Wallpaper and background images in the disney crossover club tagged: crossover disney rescuers down under atlantis. This disney crossover photo might contain groene baret, speciale krachten, elite soldaat, speciale troepen, jager, and schutter.